I love it that my first child is a girl! I have this vision board in my room and it has a family with three kids: A girl (the eldest), a boy (the middle child) and a baby whose gender I couldn’t determine (haha!) and it really shows the family that I would love to have. Oh, and yes, a picture of a family with three kids is in my vision board! Anyway, I love that I have a girl since I love dressing her up. Ever since she was little, she loved all of the accessories, clothes and posing in front of the camera. I forgot to post about this but last October, we attended an event where I had to dress her up as my mini me! 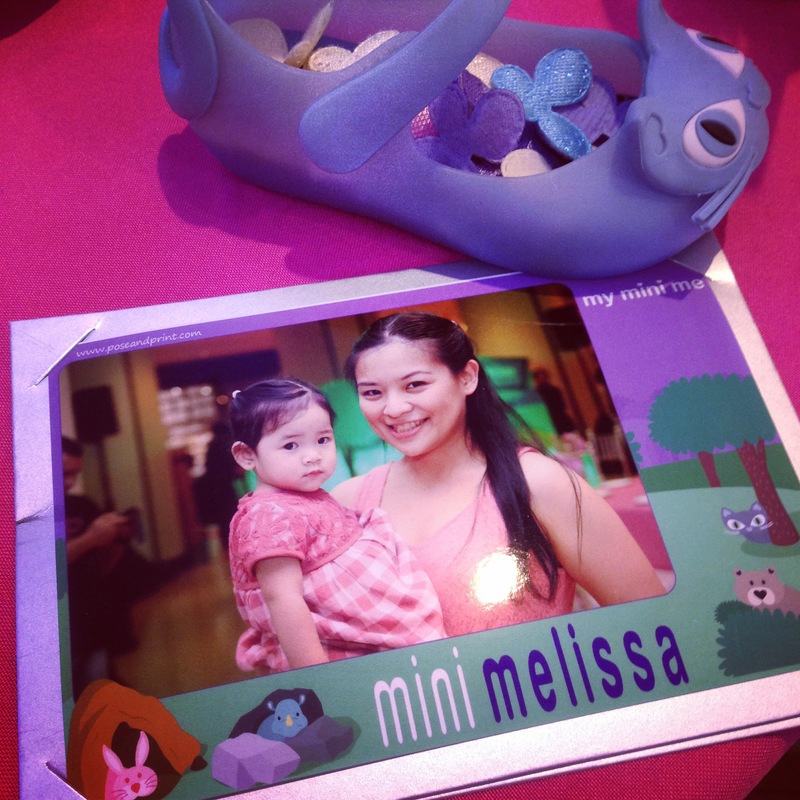 This was for the Mini Melissa Event at Geleia, Shangrila EDSA Mall. We got these two outfits in peach from different stores but it looked really great together. On our way to the event! 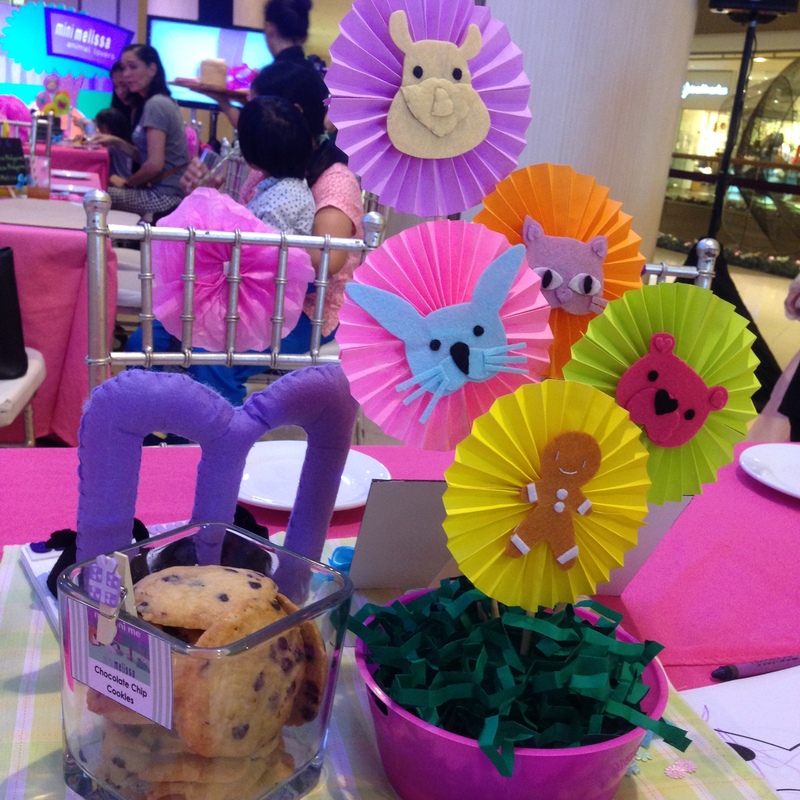 The table decoration hints of the new styles of Melissa’s collection for children! 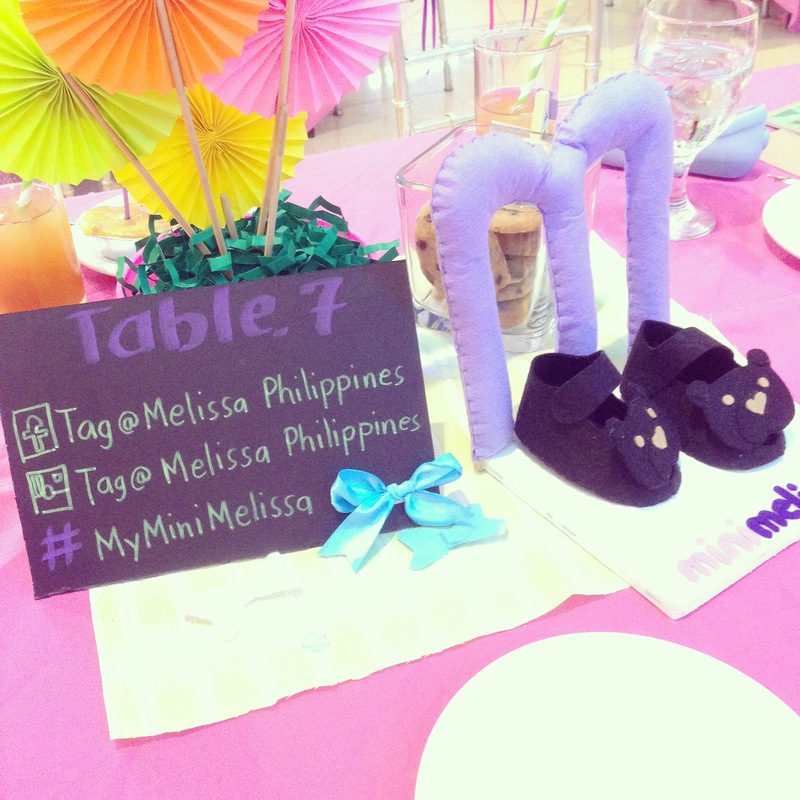 The event was special since it was the launch of the new Mini Melissa Collection. This new collection featured 5 cute little animals. We got two new shoes from Melissa during the event. 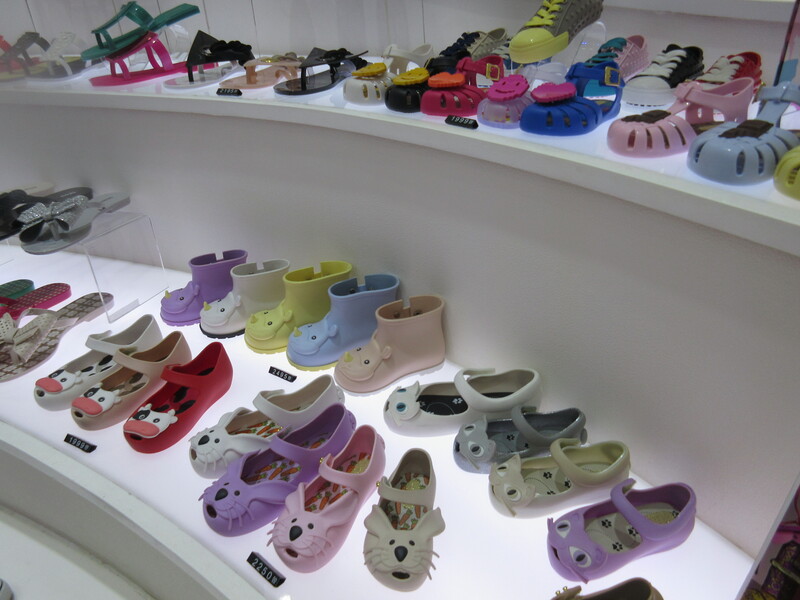 We had a hard time deciding what to get since all the shoes in Geleia were amazing! I have decided though that this will be my next purchase. I love this! I’m aiming to buy this next! 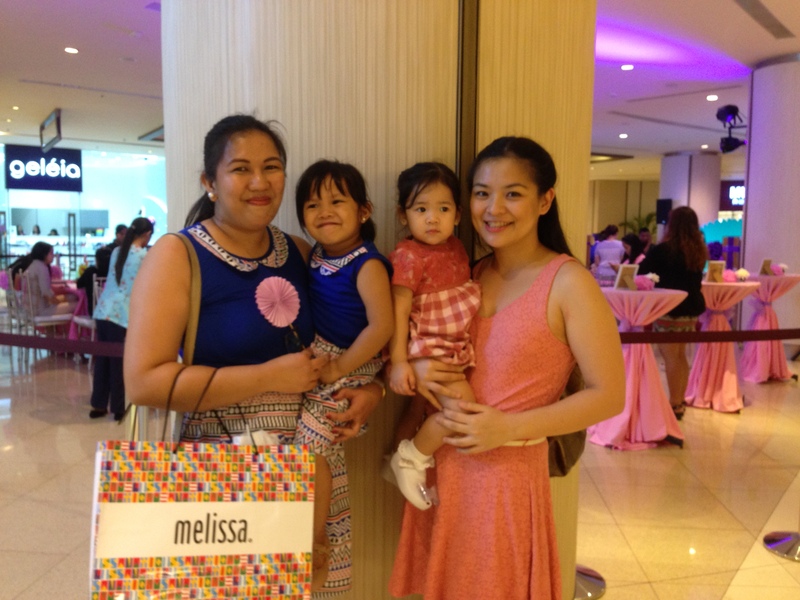 We had a great time during the Mini Melissa event. 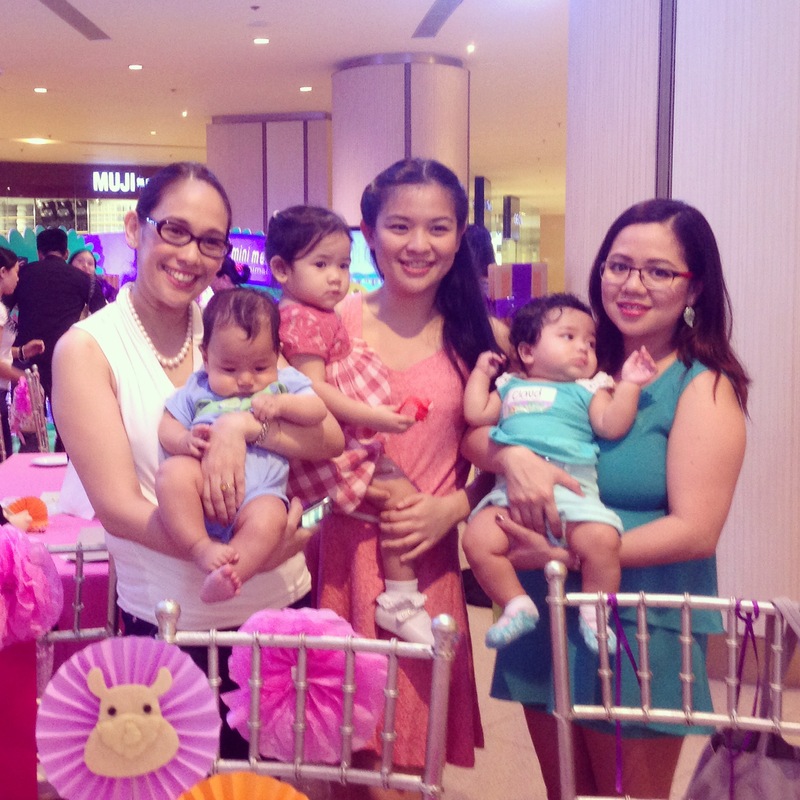 It was great to see good friends and their little ones! Thank you Melissa for inviting me to such a great event. 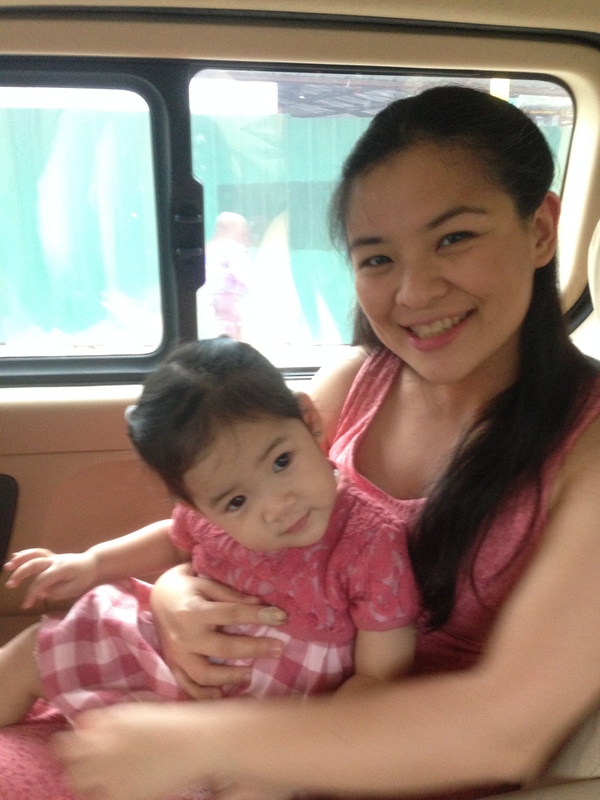 Yours truly carrying Zeeka with Rissa Mananquil-Trillo and Celestia! Be a Certified E-Commerce Specialist with this E-Commerce Professional Program! Yesterday, we did some of our Christmas shopping online. I think having all of these online stores is quite cool. I’m sure those who are part of the reported 30% of the Filipino internet users who purchase online and 20% who pay online can relate with me (Study: i-Metrics Asia Pacific Corporation). Therefore, kudos to this part of society who sells goods and services online! A few people in the industry though have noticed that there are only a few people who understand e-commerce and have a full grasp on concepts like business models, buyer persona creation, policies, supply chain management, payment systems, fraud handling, outsourcing, project management, site development, digital marketing, etc. 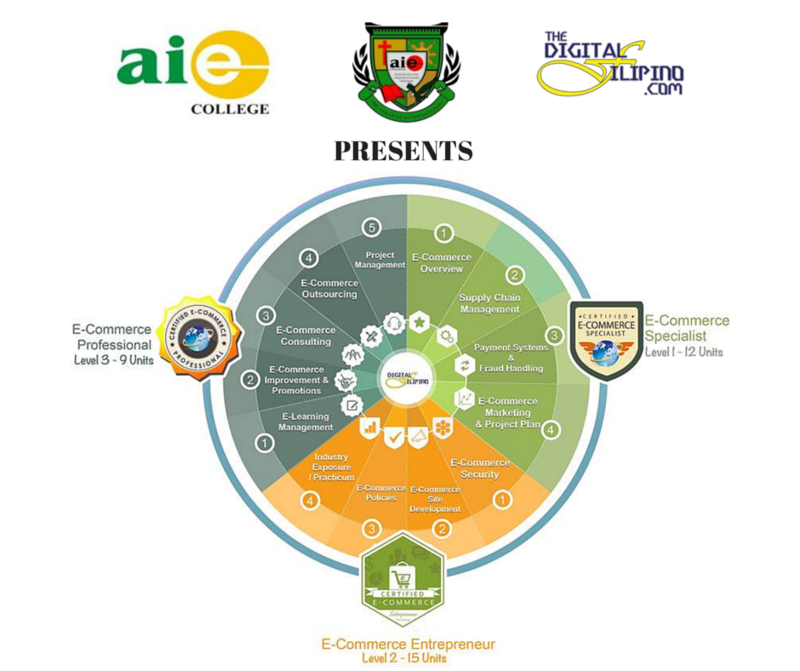 It’s a good thing that my good friend, Ms. Janette Toral is coming up with this 11-module blended learning certificate program in collaboration with the Asian Institute of E-Commerce and AIE College. – Three thousand pesos (P3,000) per module. Pay the fee of P2,700 only per module if you will process on or before December 23, 2014. – Cash payment for 11 modules is thirty thousand (P30,000). Pay the fee of P27,000 if you will process on or before December 23, 2014. *An official receipt from Asian Institute of E-Commerce / AIE College will be issued to all participants recognizing payment received. *DigitalFilipino Club Members (updated in their membership payment) shall be entitled to a 30% discount. Face-to-Face session on January 17, 2015 (Saturday) at Best Western Plus Antel Hotel, Makati Avenue, Makati City from 9 AM to 6 PM. No, I’m not pregnant. I just want to share with you that we already plan to get ready for Baby number 2, just in case. 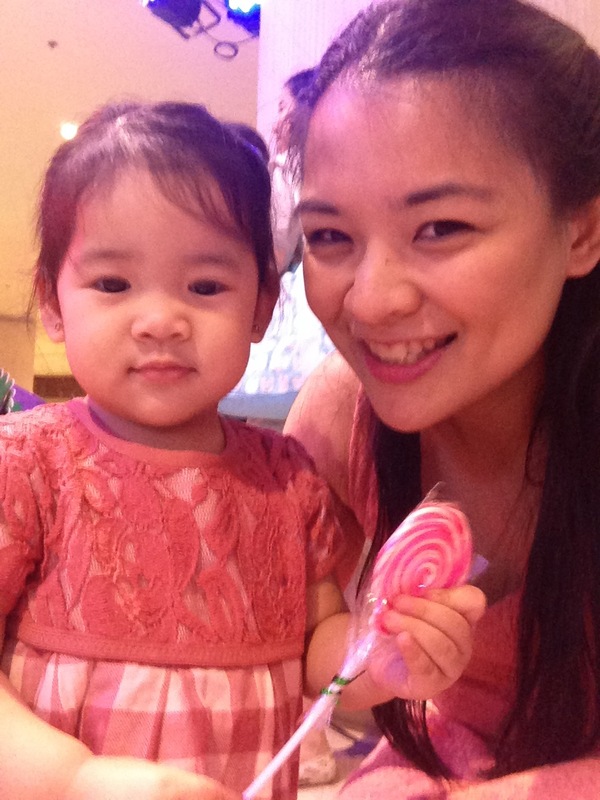 We plan to have another baby by mid or late next year, after Zeeka turns 2. That’s how far in advance we usually plan. I can’t afford to just “go with the flow” when it comes to having a baby. I’ve had complications before so each and every pregnancy is something that I need to gear up for. Also, I have a lot of things going on in my mind, especially since this will be baby number 2. 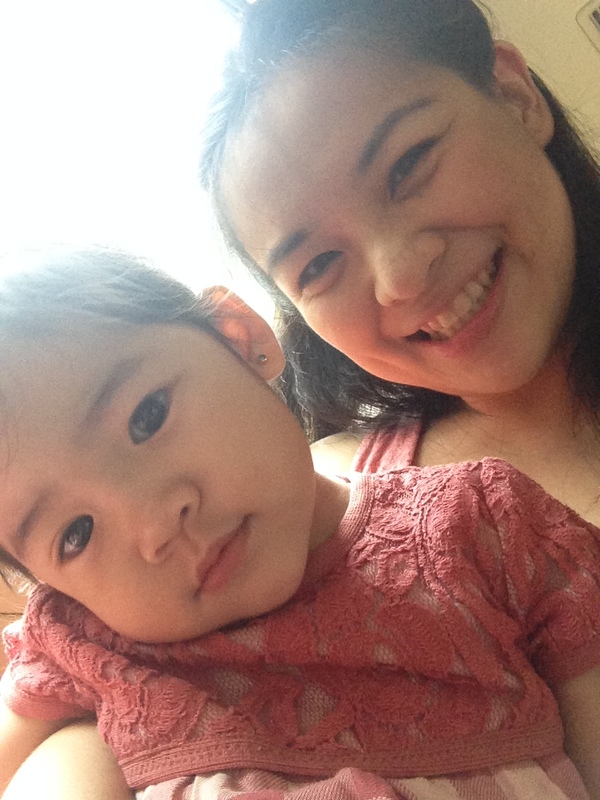 My little family — is it time to have one more child? 1. Financial Capacity: Having a baby means additional “no joke” expenses. An additional baby means having an additional yaya, additional food on the table, additional diapers, additional tuition fee expenses in the future, etc. (and the list goes on). But even before that, we need to have that extra money for check-ups, ultrasounds, pre-natal vitamins and the labor and delivery. We will need around Php 250K for all of these expenses by next year. 2. Space or a new Home: Having an additional child means that we need to have bigger space after a few years. I’ve been checking out different properties, particularly the cost of a three-bedroom condo unit. A three bedroom condo unit nowadays cost approximately around 12-15 Million Pesos. We are still in the process of paying off our monthly amortization for our home now so we need to consider the extra money that we need to raise for this new home. 3. Sibling Jealousy: I’ve heard of stories of other parents of their first child having bitter feelings towards the second child. I’m thinking if this is the right time to have a second child since my daughter is still young and she might be jealous of the attention that we will give our second child. But so far, I’m seeing that she’s not the type who’d get jealous. I’m so happy that she knows how to share and she loves babies. She loves playing with other children, so I’m hoping that this would not be a problem. These are some of the things that I’m thinking of. How about you? Are you ready for your next child? 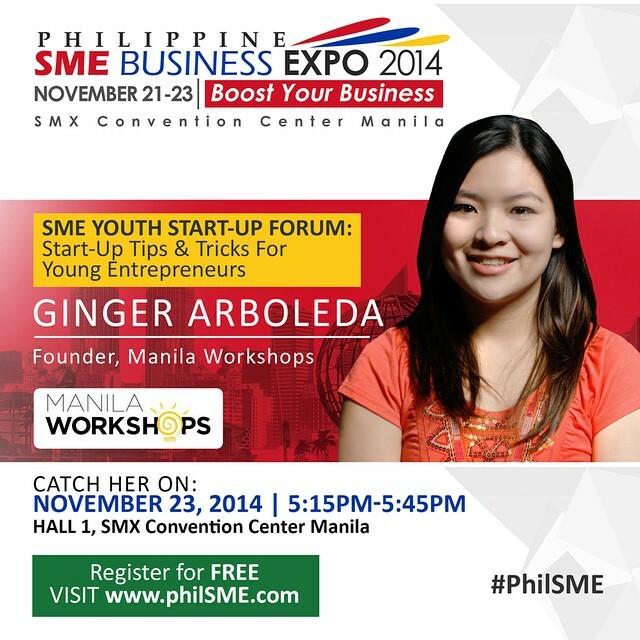 Catch me at the Philippine SME Business Expo Today! I am part of a company (http://tutigroup.com/) that gives branding and marketing advise to personalities who want to be more visible and active in the digital landscape. We came across a client who had huge dreams and who was really passionate about he wanted for his industry. We saw that he could be a key influencer (he was actually quite influential already) in his community, and we advised him to embrace this! Embracing it requires him to do things that he isn’t comfortable with like creating his own web channel, fan page, etc. I admit, it’s quite scary, but really necessary. I, for one, am really scared of talking to large audiences. I could talk to a few people and coach them, but admittedly, talking to hundreds and thousands of people scare me. Although one of my dreams is to speak in a TEDx event. My personal advocacy is to help people achieve their entrepreneurial dreams and to turn it into reality, and in order to get to more people, I need to be visible and I need to go to big conferences to spread the word. 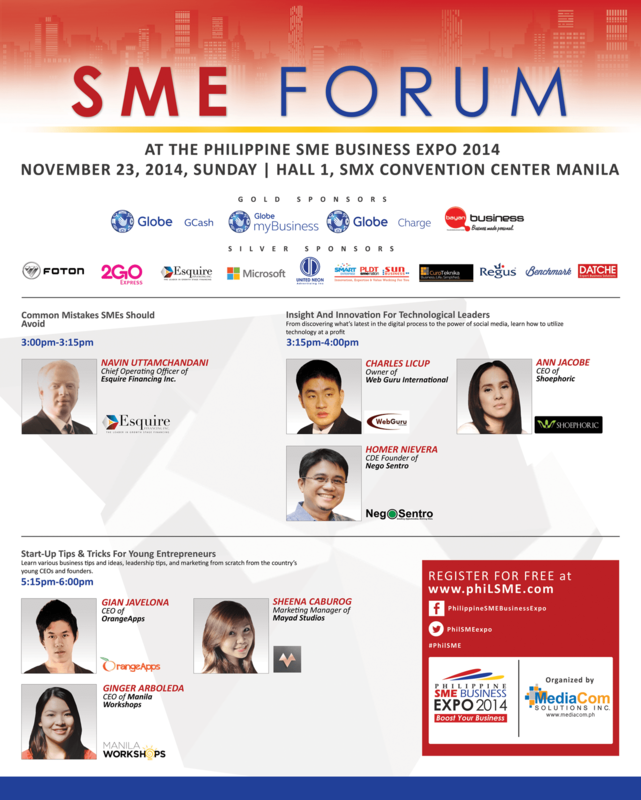 So today, I will be at the Philippine SME Business Expo at the SMX Convention Center Manila. 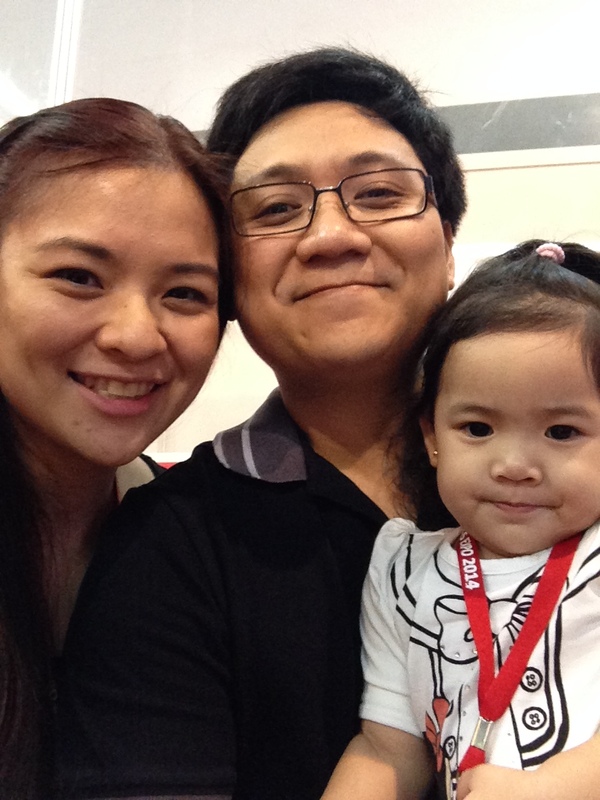 I will be speaking with Gian Javelona of http://orangeapps.ph/ and Sheena Caburog of http://mayadstudios.com/. Our session will be at 5:15PM and we will give tips and tricks for young entrepreneurs. Memory Crafters, together with Make It Blissful is inviting everyone to come and be part of our meaningful workshop this coming December on gift wrapping. It’s always been a dilemma for me every Christmas since I am not one who’s creative when if comes to gift wrapping. It makes me even feel worse when I receive a gift that’s really wrapped beautifully and well crafted! I really want to learn how to be creative in terms of gift wrapping and I know a lot of people with this dilemma. Well, fret no more! Memory Crafters and Make It Blissful thought of creating a meaningful workshop to teach people how to make a simple gift look classy and creative by using repurposed materials. How you wrap it is also a part of the gift. Giving a handmade gift/gift box will make the gift more special. Gift wrapping is also a great activity to do with your loved ones! The Blissfully Wrapped Workshop will be held on December 04, 2014 (Thursday), from 2:00 – 5:00 PM at Scarsdale Artisanal Delights – 514 S&R Shaw Boulevard,, Mandaluyong City. * Fee is inclusive ofa creative gift wrapping kit, gifts and light snacks & beverage from Scarsdale Artisinal Delights! Manila Workshops has been in the industry for almost two years already under the company name GPA Events Management Services. 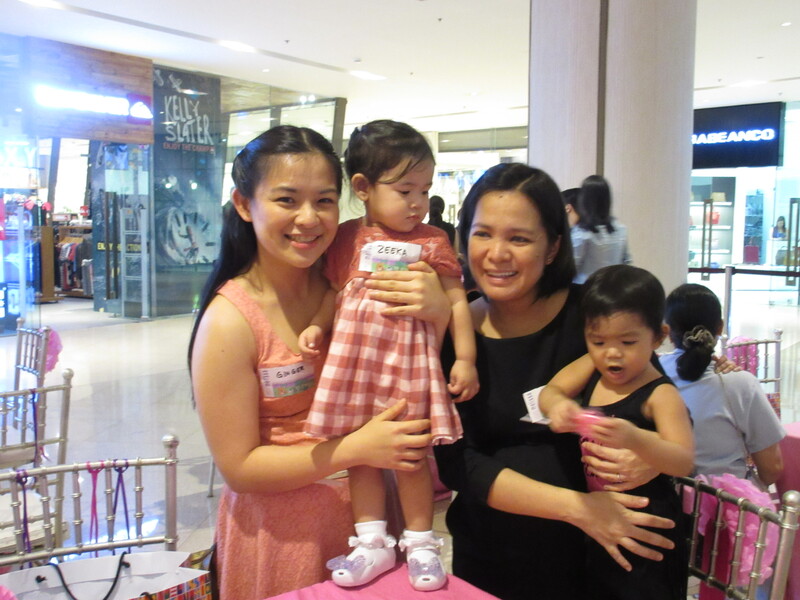 It was founded by mompreneur, Ginger Palma-Arboleda, who thought of a brand that could help people achieve their personal and professional goals in life. Since 2012, Manila Workshops has been actively creating lifestyle workshops and has been partnering with Corporate clients and home-based businesses with the same goal. 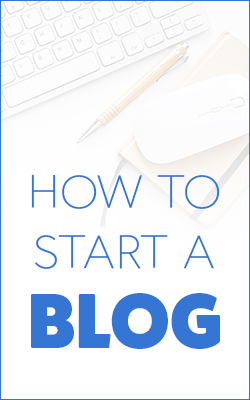 Martine de Luna is an award-winning blogger, a work at home advocate, and a creative blogging mentor. Through her creative inspiration website, www.makeitblissful.com, Martine encourages women to live meaningfully, whether at home, work or in the pursuit of life goals. 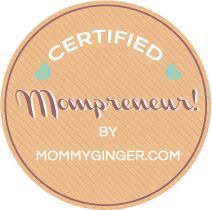 Her Make it Blissful Blog Workshops are held monthly (with an online workshop to be launched soon), and she is also the director of the WAHMderful Workshops (www.wahmderfullife.com), a series of workshops and masterminds that equip mothers and married women to work or run a business from home. She also offers digital strategy on community building, blog branding, and social media on her professional site, Martinedeluna.com. She lives in Manila, the Philippines, with her husband Ton and their son, Vito, whom she homeschools. To register and know more about this workshop, visit this link: GIFT WRAPPING WORKSHOP or email rikka@manilaworkshops.com! See you there!